Atlanta and Birmingham Area Schools Help Make It Two SOLD OUT Festival Weekends for the Panama City Beach Music Festival. April 27-29 and May 11-13 are the two weekends for the Panama City Beach Music Festival for this coming spring. Both weekends are SOLD OUT. We have symphonic bands, concert bands, jazz bands, orchestras, marching bands, and choral groups coming from all over the South. This has become one of the most humbling and rewarding year’s we have ever experienced in the festival business. We never keep any student’s deposit money, and we always try to do what’s right for every group who participates with us. Some of the groups who have had a first-hand experience of that type with us, spread the word, and that may have been a factor in the new groups who are coming this year. Most directors know that we take great care of every group when they attend our festival on Panama City Beach. Combine that reputation with a group of exceptional sponsors like the Panama City Beach Convention and Visitor’s Bureau, Buffalo Rock Pepsi, Shipwreck Island Waterpark, and Nextstar Media Group, and you have unquestioned respect. We are humbled, not only by the growing support from schools across the South, but also from the endorsement of our sponsors. 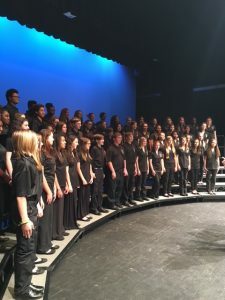 We believe that every performing middle school and high school group needs a festival that is easy to get to, professionally run, filled with great fun and good food, and that doesn’t require a long, painful fund raising effort. We’ve even added very well-appointed condominiums to house many of our groups, and we do it all for under $275.00. This festival is about providing the best of everything on a beautiful beach, at an extremely reasonable price.